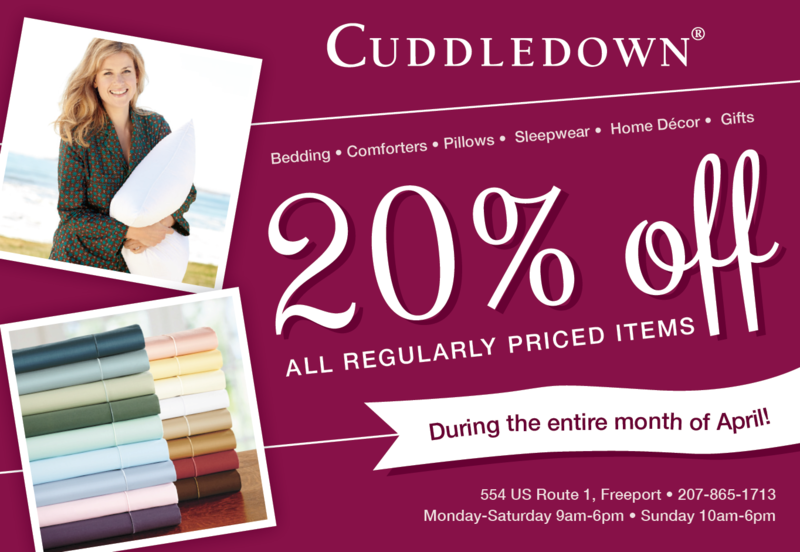 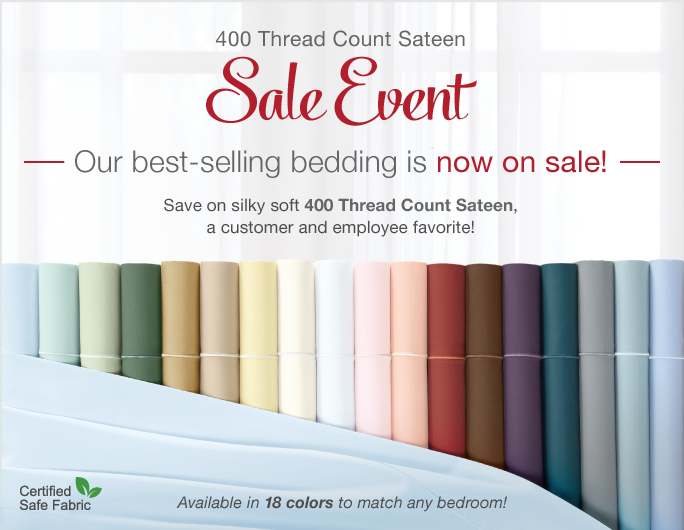 April Sale Event at our Freeport, ME Outlet Store! 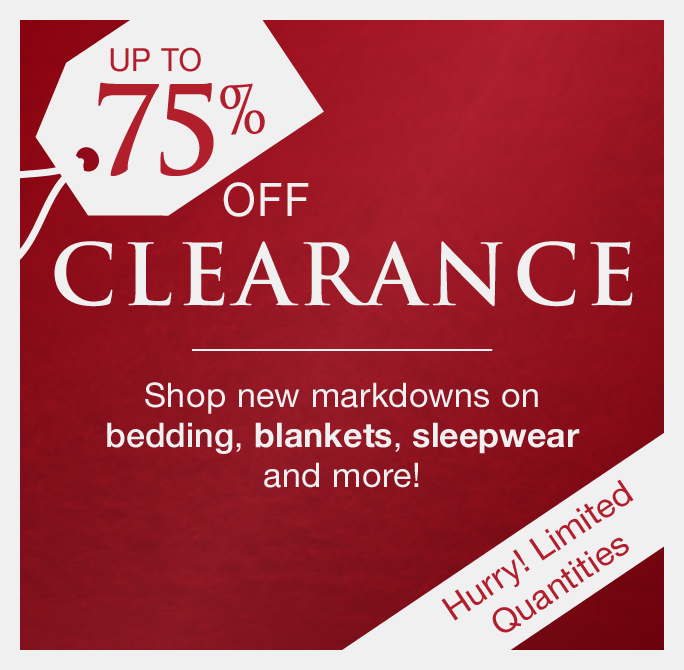 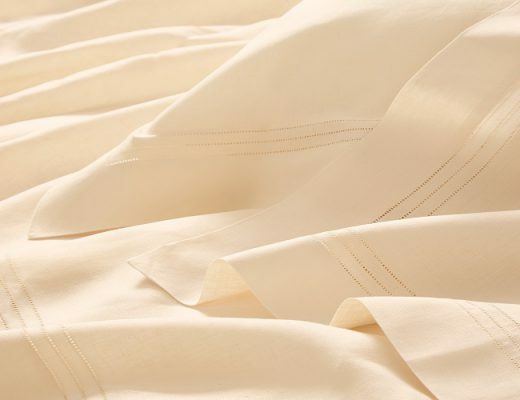 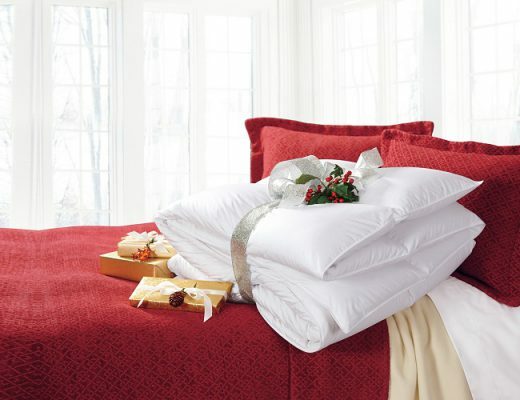 Save up to 75% off luxury bedding, sleepwear and more! 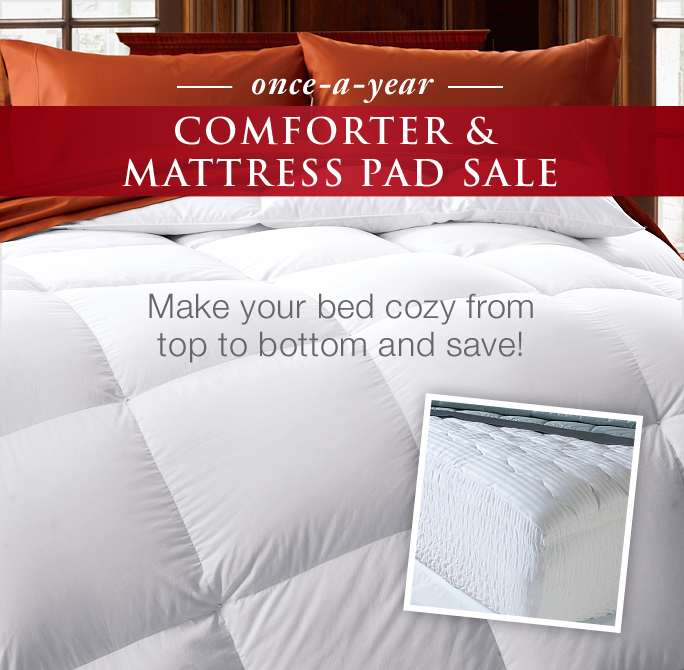 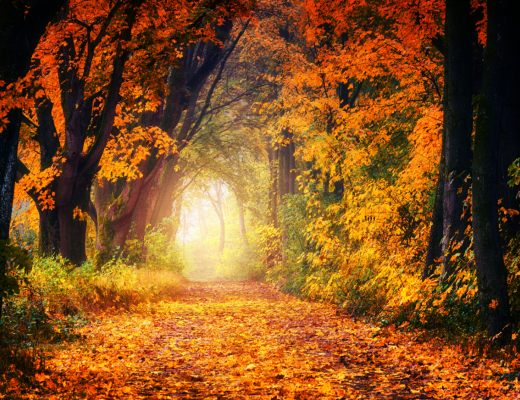 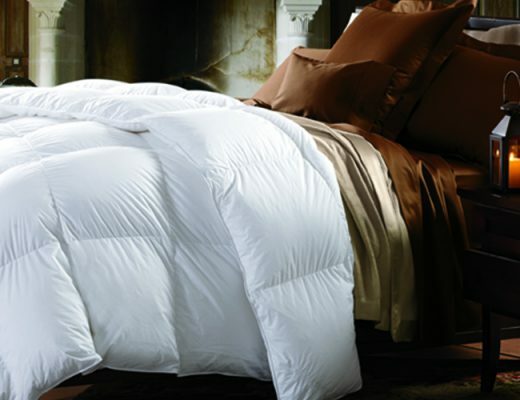 Comforter and Mattress Pad Sale going on now! 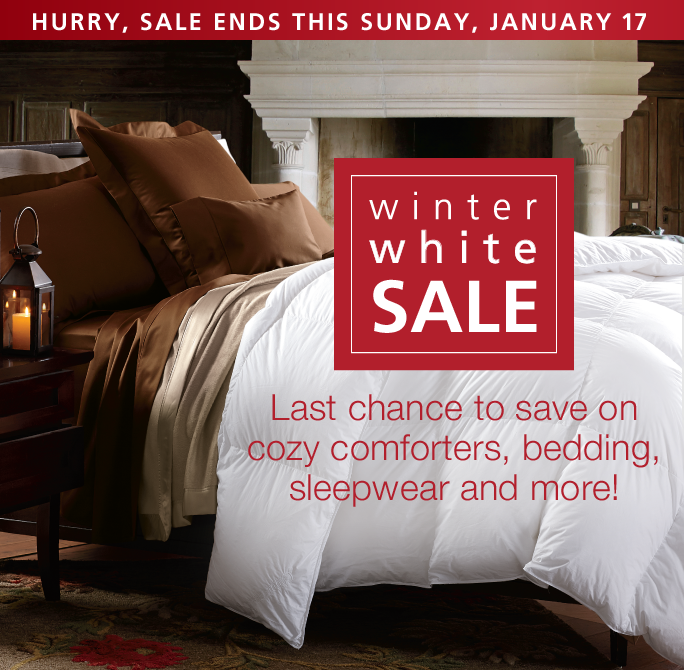 Winter White Sale ends Sunday!